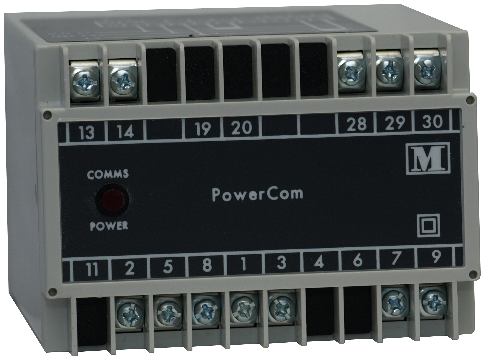 The M550 is a fully programmable three phase power transducer with an isolated RS485 based communication port using Modicon's Modbus protocol. Its accuracy is class 0.2% for input signals down to 10% Un and 10% In, (1% of reading for energy measurements.IEC1036), 50-60Hz. All measured quantities can be obtained from the transducer, the system's parameters can be set up remotely, important data can be saved to computer and the order of the Modbus registers themselves can be changed. The relay installed in the M550 can be used as a flexible monitoring relay. N.B. for firmware revisions 0.3.01.00-03-09-04 and later, the M550’s relay can have up to eight conditions attached to it, creating a very flexible monitoring system. Direct connected voltages between 57.8V and 600V. Warm up time 1 min. 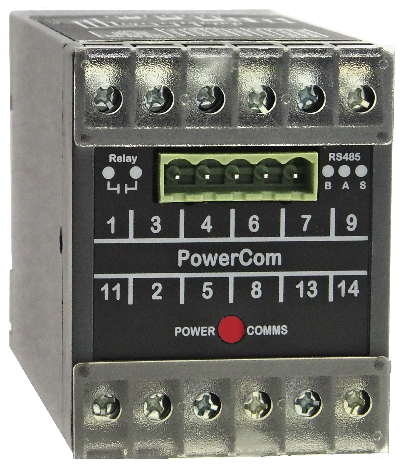 The M553 is a fully programmable three phase power transducer with an isolated RS485 based communication port using Modicon's Modbus protocol. Its accuracy is class 0.25% for input signals down to 10% Un and 10% In, 0.3% for power measurements and 1% of reading for energy measurements. (IEC1036), 50-60Hz. All measured quantities can be obtained from the transducer, the system's parameters can be set up remotely, important data can be saved to computer and the order of the Modbus registers themselves can be changed. The relay installed in the M553 can be used as a flexible monitoring relay. 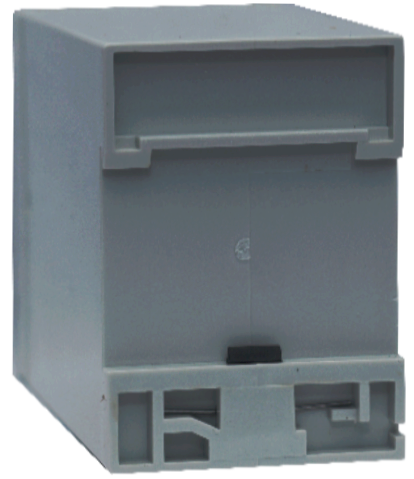 The M553’s relay can have up to eight conditions attached to it, creating a very flexible monitoring system. The M553 is a fully programmable dc power transducer with an isolated RS485 based communication port using Modicon's Modbus protocol. Energy quantities can be pulsed through an optional on board solid state relay. All measured quantities can be obtained from the transducer, the system's parameters can be set up remotely, important data can be saved to computer and the order of the Modbus registers themselves can be changed. The relay installed in the M553 can be used as a flexible monitoring relay. It can have up to eight conditions attached to it, creating a very flexible monitoring system.